Soo-o beautifully in love in Rome. As a photographer I don’t remember ever telling them what to do. We just walked around having fun visiting the city as they enjoyed each other’s company. 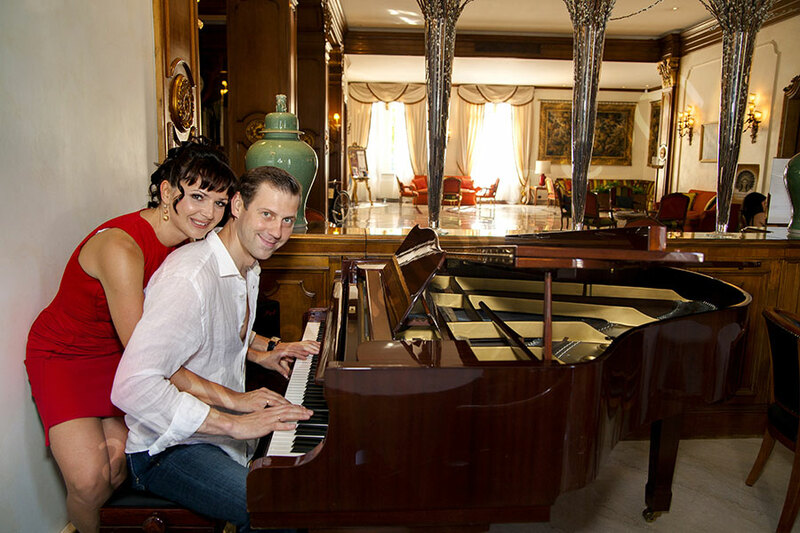 The engagement session began in Hotel Aldrovandi where we shot some nice interior photography in the lobby and the halls. We then moved to Villa Borghese by car where we took a brief pause relaxing on the grass and soaking the sun. We wanted to give this photography session a very relaxed laid back feel. Then we went to visit Piazza di Spagna strolling over to Parco del Pincio after visiting Piazza Trinita’ dei Monti. Then back in the car and onto Ponte Umberto I, Castel Sant’Angelo, Gianicolo and the Roman Coliseum. To get some more nice photos of the city. It was all going well until the the Saint Bernard dog came in.. 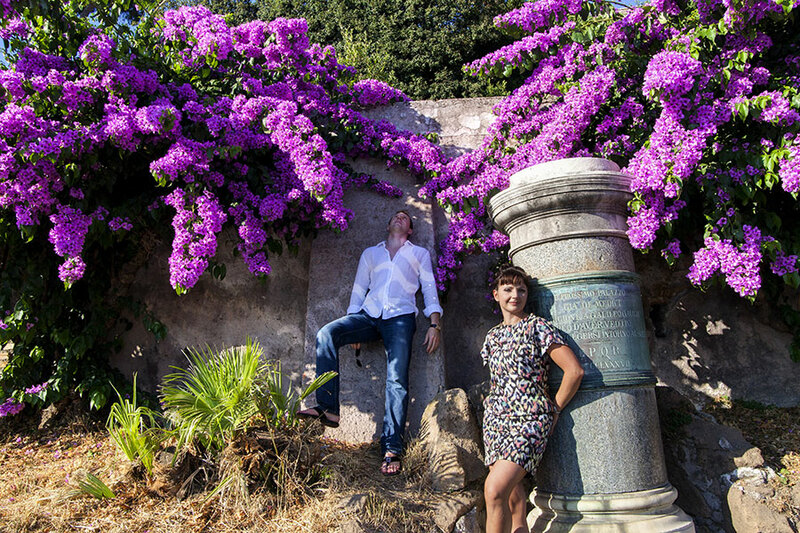 Here are more details on engagement sessions in Rome and on surprise wedding proposals. 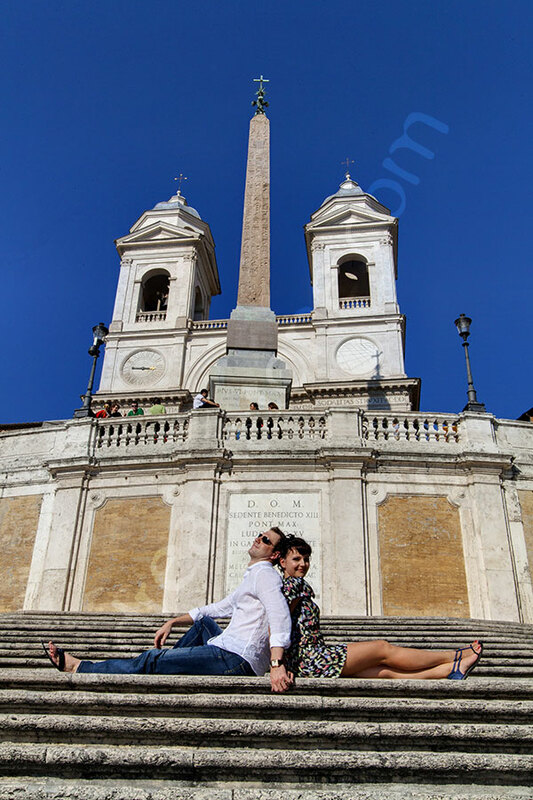 A fun and lively photography session in the city of Rome. A casual and spontaneous walk around the city. Ending the tour at the roman Colosseum.